Auckland Council has released its final version of what it believes the Unitary Plan should look like. It has publically notified its decisions on recommendations made by the Independent Hearings Panel, publishing its 'decision version' of the Plan, with accompanying maps on its website. Publicly notifying the Council’s decisions is a statutory requirement that's one of the final steps towards putting the Plan in place. The Council supports a number of zoning and regulatory changes that create the capacity for over 400,000 new dwellings to be built in Auckland in the next 30 years. See this story for details on the decisions the Council came to, after spending four days (Aug 10, 11, 12, 15) voting to either accept, or reject and provide an alternate solution, for each of the Panel's recommendations. From here, an appeals process opens until September 16. The Council explains: "Appeals can be made to the Environment Court by submitters on the Proposed Auckland Unitary Plan, where the council rejected a recommendation of the Panel that relates to a matter raised in that person’s submission, and any person unduly prejudiced by a council decision to accept an ‘out of scope’ recommendation made by the Panel. "Additional appeal rights are available to the High Court for submitters on questions of law only, and to both the Environment Court and High Court in relation to designations and heritage orders." Great, get on with it, don't yield to the few objections who are holding the vast majority ransom. The objections aren't few, and you're a fool if you think building more houses in the current political and economic environment is going the fix the issue of affordability. It'll ruin Auckland, but won't do a whole lot else. Well Auckland needs to build much more upwards with more apartments,skyscrapers & not so much expanding outwards. Auckland can't keep expanding with the urban sprawl similar to Los Angeles as it doesn't have the massive land to do it unless you want Auckland urban sprawl to spread to other towns & cities in the North Island. Ruin Auckland? Well if people who don't like the higher density in Auckland then they should sell up & move to some other town/city in New Zealand where its not needed. instead of holding back the future progress of Auckland for younger people who want higher density & better public transport. they have a choice. 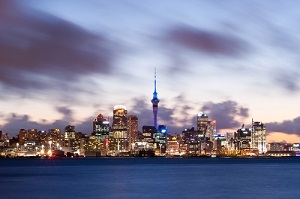 33.4% of the NZ population lives in Auckland compared to only 20% of the Australian population living in Sydney. Remove immigration. Everyone on this site has been calling for it. I'm not sure the commenters on this site are a good representation of the population. If so winston is a shoe in. Would be interesting to know what you think NZ has going for it other than immigration. Without it I think we would be in a deep recession. I don't care. At least it would show that John Key doesn't know what he is doing. So true. New Zealand has a very fast ageing population, New Zealanders still leaving for overseas & median birth rates below replacement level. More people in New Zealand will be 65+ than under 15 within the next 2 decades. According to the population clock New Zealand has one birth every 9 minutes compared to Australia with one birth every 1 minute & 44 seconds. New Zealand needs immigration more than ever right now with the future demographics of New Zealand getting much older. New Zealand would have a collapsing population & a much older median population than it has now without immigration over the last few decades helping keep the New Zealand population stable. Currently 1 million expat Kiwis are living overseas which is second only to the Irish per capita. I think the entire South Island will need a immigration boost in the future as the population there will only grow by only 70,000 people in the next 15 years. The fact you think this "According to the population clock New Zealand has one birth every 9 minutes compared to Australia with one birth every 1 minute & 44 seconds." is relevant shows you don't know what you're talking about. John Key should be condemned by one and all for not acting in the interest of the country when one see that everyone is able to see and feel the truth except our Hon PM, which is clear from the article below but they are on their own ego trip at the cost of common people of nz. Yes totally agree with you Reena. How are New Zealand Citizens suppose to compete to get a foot hold on the property ladder when they're being constantly out bid by those with access to corrupt money. Hot off the press from the BBC: 'Gangster grannies' and China's shadow banking world. Quotes from article: This week, state media reported that a clampdown on shadow banking in China uncovered $30bn (£23bn) worth of illegal banking activity. It may seem a staggering figure, but analysts say this is just the tip of the iceberg. Informal lending has always existed in China's economy, but shadow banking really took off post the global financial crisis in 2008/2009. These unregulated lenders offered alternative options for small and medium-sized businesses and real estate developers to get access to loans during what could have been a crippling credit crunch. Chinese authorities turned a blind eye to them at the time, because they were arguably helping the economy to keep growing. And where did most of this dodgy money end up: "Customers who wanted to buy real estate abroad or pay for their children's school fees in foreign countries". Wake Up NZ!! Remember our Government has also turned a blind eye to this money laundering activity that's massively bloating our housing market. So can we start smashing up old two bed houses and turning them into apartment blocks yet? If not, when? Shadow Chinese money indeed. AKL needs the unified plan, yes its been painful but thats really a result of Len and his team consulting with every minority nimby in sight. Really has been a perfect storm over the last 5 years. Shadow money, high equity oldies speculating to make free cash before they retire, Govt blindly allowing property flicking with no tax, low low interest rates, lack of flexibility with the Council, the delay in delivering the biggest planning update in living memory, and youth fleeing to Australia which has now stopped now really highlighting the issue. What amazes me is all the commentators on here and politicians that are convinced it is a lack of available land to build on that is the bottleneck. Ring a ready mix company, and place an order, roughly a month out. Need tilt slab ? good luck with that. Maybe a tradesman that wont hold you to ransom ? Not in Auckland. How about put some horsepower into Apprenticeships, Supply, get rid of the Carters/Fletchers duopoly, allow products in that aren't continually stymied by Branz - who do you think is objecting ? It is Systemic failure on all fronts, the Unitary plan is not a silver bullet.